Some people are cat people, I happen to be a dog person. My heart melts when I see a puppy. When I see an abused, neglected, or starving dog my heart aches a bit. Living in Thailand, I am afraid my heartstrings are tugged on more frequently. 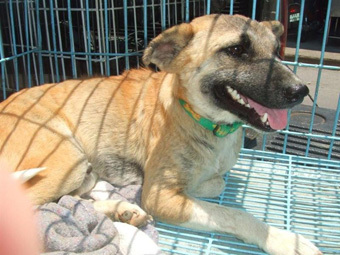 There are many street dogs in Chiang Mai, neglected, starving not only for food, but for human companionship and love. The Thai culture is slowly coming around to recognize that dogs are more than cheap burglar alarms. But many people still leave their dogs outside, never interacting with them, never receiving one of the main benefits of having a dog, unconditional love. Studies have shown that having a pet can have a positive physical and psychological effect, but only when you have a relationship with your dog, and receive the bountiful love and adoration your dog is waiting to give you. There are many groups around the world that focus on helping the less fortunate dogs in our communities, and they all have my utmost respect. It takes a special person to give of themselves for the benefit of animals. My kind of people. In Chiang Mai we are very fortunate to have the most wonderful, dedicated and conscientious group of people working to help the dog community here in Chiang Mai. I have spoken of this group before in my of my previous posts. 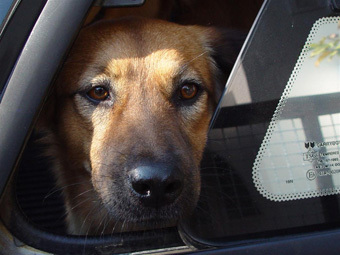 Care for Dogs is a non profit organization that has taken in many street dogs and abandoned dogs. 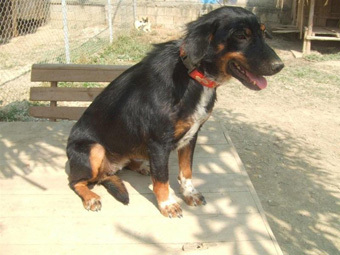 They provide medical treatment, and care for the dogs until they can find a suitable home. They have a no euthanasia policy, they will never put dogs to sleep due to overcapacity, but only when a dog is in misery and pain and its condition is fatal and can’t be healed. They take that extra step to ensure an ailing dog is kept as comfortable as possible. Many of the dogs at Care for Dogs will never be adopted due to medical problems. They have found their final home here. A few examples of the extraordinary work they do. Licorice is the first example. 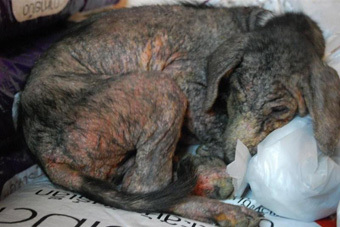 “Licorice was brought in a potato bag to the Care For Dogs shelter in June of 07. Her owner didn’t know what to do with her. She was scared, shaking terribly. She hadn’t been stroked or caressed in months. She was, to my horror, the worse mange case I’d ever seen. She had a few stray black hairs, and where hair once shined, there was only a coat of liquid serum left slowly streaming out of her angry and aggravated pores. But she was young, eager to receive love, and proved incredibly resilient. Today Licorice is a healthy happy dog living in California in a loving home. Another incredible example is Wallace. “Wallace was an ‘owner’ dog, living on the street outside his owners motor repair shop with a gang of other family dogs. 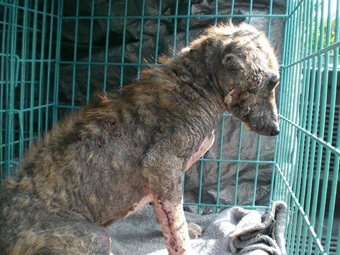 There are many other dogs that have been saved from a slow, tortuous death. Brought back to health and given a second chance. Care for Dogs also has a very strong sterilization program. Stray dogs are picked up off the streets, brought to the center for treatment, and if they appear to be healthy and thriving in the environment they came from, are returned to the area. Dogs needing special care, or looking like they are not making it on the streets on their own, are kept at the shelter and cared for until they can be adopted to a good home. Since Care for Dogs started this program, over 800 dogs have been treated. If you visit their website Care for Dogs, you will read many more inspiring stories about the work that this group does to help dogs in Chiang Mai. Stories that will lift your spirits and bring a smile to your heart. I have a special affinity to this group, whose motto is “Saving one dog will not change the world, but surely, the world will change for that one dog”. Our dog Coco came from Care for Dogs, and she is such a loving, sweet dog that we are blessed to have, and while her world has certainly changed, ours has too.